I love my Keurig K-Cup Coffee Brewer. I have the Keurig B60 Special Edition Brewing System I UPGRADED TO THE Cadillac of Keurig Machines, the K575, and I can’t say enough good things about it. I can have a single fresh brewed cup of coffee at any time, in just a matter of seconds, with just the push of a button. And there are SO MANY types of K-Cups to choose from! Some places sell them for as much as $1 a piece (Kohl’s does when they aren’t on sale). It’s still cheaper than Starbucks, but come on, I’m making it myself. Shouldn’t they be cheaper. Needless to say, I am always looking for ways to get those wonderful little cups of morning goodness at the best possible price that I can. I think that I have been pretty resourceful. There is really no reason to EVER pay more than 50¢ per cup. EVER! Where Can You Buy K Cups Cheap? 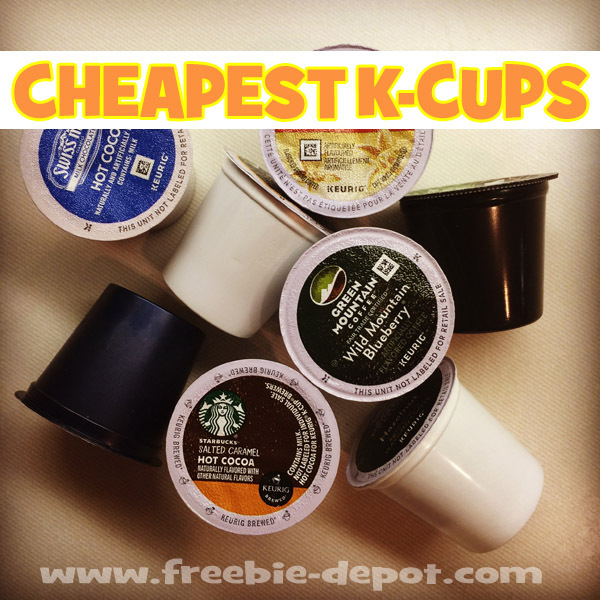 K-Cups Best Prices – Here are 10 ways that I save money when purchasing K-Cups. You can find some great prices on Amazon for K-Cups . PLUS you can get even better prices if they offer a Subscribe and Save option – 5% OFF! Subscribe and Save is an auto ship program that you can cancel at any time. So, place your first order with Subscribe and Save to get the discount and cancel once you receive the order. 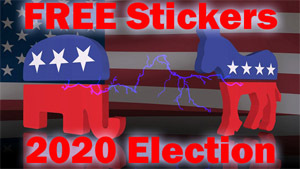 Shipping is FREE with all Subscribe and Save items. These Amazon prices are some of the cheapest prices that I have seen anywhere! Indulgio – Try the Sweet & Salty Caramel YUM! Check out variety and Sampler Packs too! There are quite a few varieties out there. I have tried several and find that the one that Keurig makes, called My K-Cup , is the best. These are basically little filter baskets that you put your own grounds of coffee in to make your cup of coffee. Kind of like DIY K-Cups. The My K-Cup is under $10 and will save you a ton while allowing you to use whatever kind of coffee you want to with your Keurig Single Cup Brewer. It’s also dishwasher safe so it is easy to clean. Reuseable filter cups can save you a significant amount of money depending on the coffee you purchase. This is probably the cheapest route to go with a little DIY! You can buy everything and anything on eBay , so why not K-Cups! Take a look. There are quite a few of them there. You can buy just a couple or a whole lot of hundreds. You will generally get a better deal if you buy larger lots. Why would people sell them on eBay? Maybe they bought a particular type that they didn’t like. They received them as a gift and don’t care for them. They are expired. Does coffee expire? It’s a recommended use by date, but it certainly isn’t going to spoil or grow mold on it. I think it’s a safe bet that you won’t die if you drink it past the use by date. In fact, I have purchased some on eBay that were well past the date and they tasted great to me! The cups are vacuum sealed so they will be fine, in my opinion and I used to be a coffee roaster. Really. I guess it’s a matter of opinion. But, your wallet will thank you. 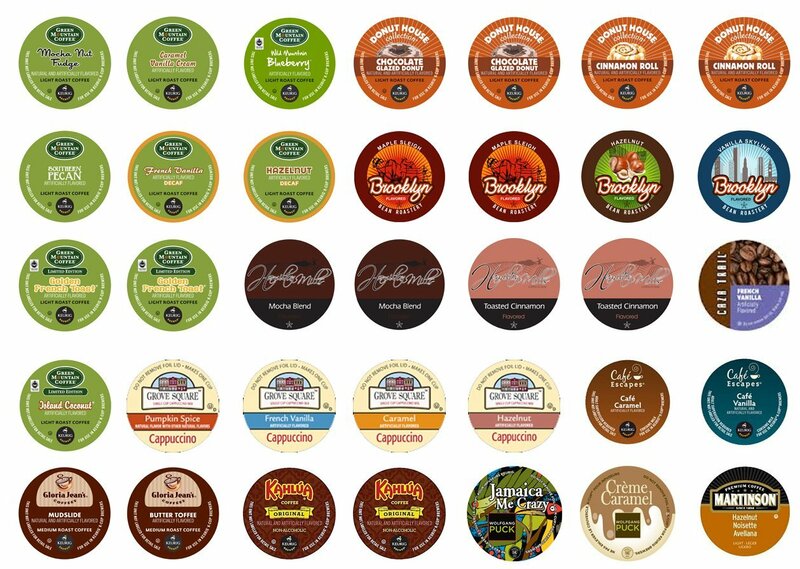 Look – a lot of 192 expired K-Cups sold for $56 + $18.35 Shipping = $74.35 or just 39¢ per cup! Not bad. Watch the shipping – it could kill the deal. You should have no problem finding K-Cups for under 50¢ each on eBay. Cash back programs will make your purchase even better! Ebates is my favorite. Those 42¢ K-Cups from Office Depot that I talked about above can be 2% less when you get a rebate from Ebates. That makes them 41¢ Each, or an extra $1.60 savings on the example that I used above for Office Depot. Ebates is really simple. Once you are registered all you have to do is make your K-Cup purchase through their shopping portal. You’ll get cash back checks from them quarterly. You will also find other retailers on Ebates that sell K-Cups, including Sam’s Club, Cooking.com, Green Mountain Coffee Roasters, Walmart, Target, Bed Bath and Beyond and many more! Ebates merchants earn you up to 25% Cash Back! Cardpool sells gift cards to popular retailers at a discount. You can purchase the gift cards and then use promo codes and reward programs to maximize your discounts. Let’s use Office Depot as an example. Cardpool sells Office Depot gift cards for 8% OFF. So, you can still use your coupon code, you can still go through Ebates to get your cash back, you can still use your Office Depot Worklife Rewards and then get 8% OFF on top of all of that, PLUS get it delivered for FREE! Cardpool sells discounted gift cards to other retailers that sell K-Cups, including Walmart, Target, Bed Bath and Beyond, Kroger, Kohl’s and many more! They do not always have all retailer’s gift cards available. But, you can set up an alert to be notified when they do become available. I love wholesale clubs like Costco, Sam’s Club and BJ’s Wholesale. Many frugal people can’t get past paying to be able to shop in these places. I think it is absolutely worth it! COSTCO is my favorite. They also just started selling their own brand, Kirkland Signature, of K-Cups. 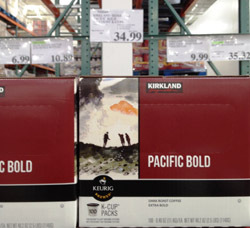 They have 2 kinds as of now, Breakfast Blend and Pacific Bold (see below). Hopefully they will be adding more in the future. Let me tell you, they are the cheapest out there without having to jump through any hoops. Costco does sell them on their website for about 39¢ per cup when you buy 200. But, in clubs you can pick up a box of 100 for just $34.99! Only 35¢ per cup – a steal. Plus you will get an additional 2% cash back if you are an executive member making them even less. With the cash back it’s only 34¢ per cup at Costco! Beat that without coupons or subscriptions. Sam’s Club also has their own brand of K-Cups, Daily Chef, while BJ’s sells only other national brands. 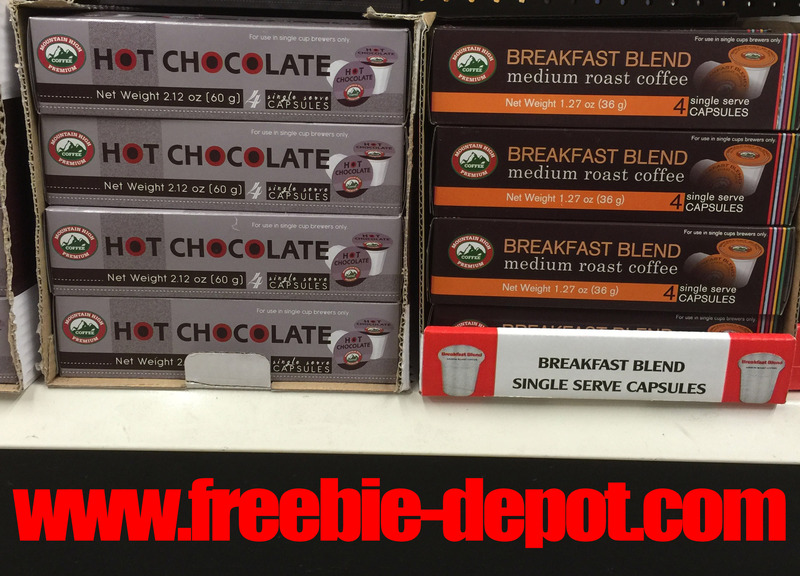 BTW – when you buy your Keurig Brewer at Costco it includes 60 FREE K-Cups! This is really just a one time deal. When you purchase your machine go online to keurig.com and register your new machine. Why? Well, you will activate your warranty, but you will also get a discount code to buy 2 boxes of K-Cups and get 2 boxes FREE! The prices are a little steep at $16.49/24 K-Cups. But with the discount that works out to 34¢ per K-Cup. You will continue to get discounts but if you purchase from these other venues above you will save quite a bit of money over buying them directly from Keurig. Grocery stores are now carrying a nice variety of K-Cups including store brands and some that are typically less expensive like Maxwell House, Gevalia, Eight O’Clock, Folgers, Millstone and more. Keep an eye out for coupons at Coupons.com and print them so that you can use them when these are on sale. You will occasionally be able to get them for about 50¢ each when you couple a coupon with the sale price. They sell 4 packs of K-Cups for, you guessed it, $1! That makes them just 25¢ per K-Cup. That’s an awesome price! The brand name is Mountain High Premium Coffee and they are 100% pure coffee. Availability will vary from store to store. They are made in Vietnam?!?!? One down side is that you have to go to the store to pick them up because they don’t even offer them on their website. The prices below DO NOT reflect any additional reductions from discounted gift cards. 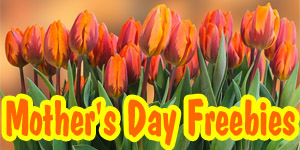 Naturally, FREE Shipping on orders over $50 too! Your best buy is Eight O’Clock brand. $9.99 for 18 is the regular price. But, use some of those coupons that come in the mail all the time. For example, if you use a $20 off $100 coupon you can get 180K-Cups for about $80.00. That works out to about 44¢ per K-Cup delivered for FREE! Plus you will earn rewards! 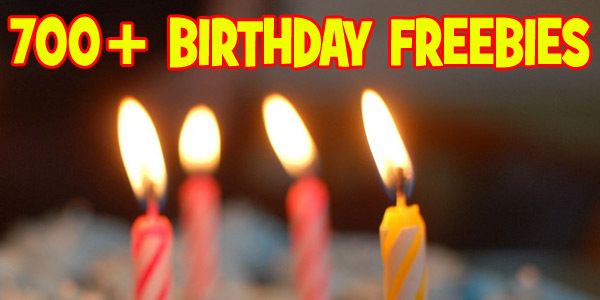 PLUS – don’t forget to use your FREE Office Depot Worklife Rewards card to earn FREE Office Depot Gift Cards! Every Wednesday Cross Country posts a rock bottom deal on a select Keurig Kcup coffee – blowing away Amazon pricing! In addition they will include a discounted gourmet pod, ground and whole bean coffee! FREE Shipping on orders over $59 too! PLUS – check out Cross Country Cafe’s clearance page for great K-Cup Pricing! Hope that saves you some money on your K-Cups! 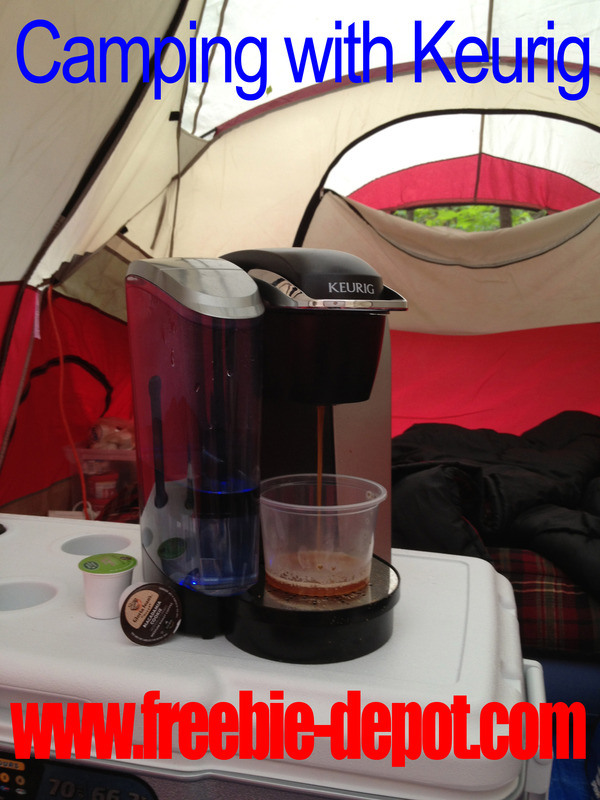 Does anyone else take their Keurig camping? Ooops, wrong link above! It’s actually $26.12 ($0.33 / Count with subscribe and save). Thanks for the update. Do note that Amazon prices change frequently and that is why I post the date the prices were listed. 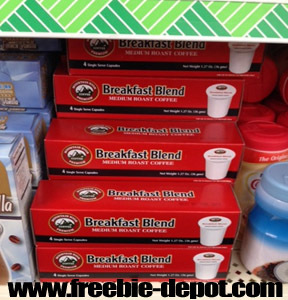 Also note that the San Francisco Bay Coffee Breakfast Blend is only 31¢ per cup when you Subscribe and Save with 5 or more items because you get 15% percent off. You left out Big Lots. Box of 42 for $15 and our local Big Lots has a pretty decent selection. I must be living in LaLa Amazon because I have never found the Amazon pods (nor a single thing on Amazon) less expensive. I buy mostly everything on Amazon simply because whatever it is, from zip bags, to jewelry, vac bags to precious blouses , even food, because they always have it in stock. But their prices are not good. If you want good prices you must shop around. Their K-cup prices are terrible. But they always have the flavor I’m craving , yep, in stock. i got the dollar store ones and they were not made right, too big for the machine… they let me return them thankfully. but another great discount store to get them, even name brands, is Ollie’s. or sometimes Kroger will markdown dinged up boxes, each store should have a “reduced goods” area in it. Right now my Vons which is also Pavilions and possibly Albertsons due to merger has 12 count k cups Don Francisco coffee, Family Reserve on sale for $5 and there is a $2 internet printable coupon making it $.25/cup. Thanks for the tip Meryl! Aldi “Barissimo” Coffee Keurig K-Cups. The Hazelnut flavor is delicious! Box of 12 Cups for $3.99! 33 cents each at your local Aldi! Try it! This brand is my favorite. And price is great!! Giant has its own brand of K-Cups. Giant Breakfast Blend sells a box of 72 for $25 ($.34 per cup). I bought a smaller box to sample it yesterday. It tastes great…better than many of the brands that I have tried. My favorite is Gevalia (by-the-way). But the Giant brand is damn good. Give it a try. Would love to see some flavored Decaf K-cups! Any great deals on Decaf? Me Too! I would love to know about flavored decaf!